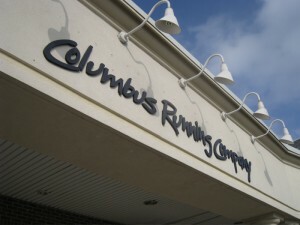 Columbus Running Company is a local running store here in the Columbus area. They actually have three locations because they are that popular and awesome. I get all of my running shoes from them because they have a wide selection and are extremely knowledgeable. Plus they cater to all exercisers, whether you run/hike trails or are a power walker looking for a sweet pair of shoes. And they become even more awesome because, Thursday, February 19th, 2009 they are hosting a Women’s Night! Yes, that’s right. A night just for the ladies. It will be at their Dublin location and starts at 7pm. There’s a whole line-up of speakers, plus giveaways, and shopping discounts. AND drinks and food! Sounds fabbo, right? Check out the above link for more details on the lineup of speakers (hint: There are going to be lots of fantastic speakers that night). I’ve already made my reservation! There’s still time to sign up, plus you can come hang out with me! You know you wanna! AlliJag, Yeah, weeknights are hard. A Friday or Saturday evening would be great I think!